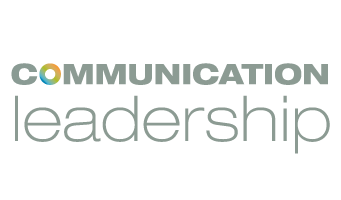 This spring, the Communication Leadership program worked with the Seattle Metropolitan Chamber of Commerce to hold the fourth annual IN-NW Conference, a two-day event that connects Seattle’s business community members to each other and to local and international trends in the industry. “Dig-In” presentations were featured at this year’s conference, and included sessions at several Seattle-based companies, law firms and public relations firms, along with a discussion at Google on women in tech and gaming. The first day of Dig-In sessions included exploring Theo Chocolate, Davis Wright Tremaine and K2 Sports. One of the most buzzed-about sessions during the conference focused on the experiences of women in technology. Attendees filled Google’s Fremont campus to hear from a powerful all-female panel that included Yvette Nameth, test engineer at Google; Linda Breneman, managing editor for Pixelkin; Kathie Flood, managing director for Cascade Game Foundry and Alice Steinglass, vice president of production and marketing at Code.org. Discussion ranged from the low representation of women in the industry to the necessity of early computer science education in schools. Steinglass noted that the U.S. Department of Labor estimates that by 2020 there will be more than 1.4 million computing-related job openings, but at current rates, only 30% of those jobs can be filled with U.S. computer science graduates. A session at PwC focused on how the company helps organizations find their way in the digital age and enhancing consumer experience. The second day of the conference included 16 speakers from companies ranging from Starbucks to Edelman and Talking Rain. Ryan Turner, the director of global social media for Starbucks, discussed the company’s new customer engagement campaigns, including the “Race Together” campaign, which was received with mixed reviews. Flip the Media pulled together some of the best words of wisdom from the two-day conference here, and provided a unique look at use of Twitter during the conference, breaking down the social media platform’s use in an interactive snapshot.